Peter C. Bjarkman (1941-2018) is the author of more than 40 books on sports history, including academic histories, coffee-table pictorials, and biographies for young adults. Best known as the leading authority on post-revolution Cuban League baseball, he has also helped to shape our understanding of the long, often difficult interaction between baseball in Latin America and Major League Baseball. 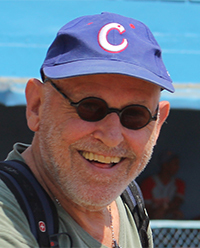 His 2007 book, A History of Cuban Baseball, 1864-2006 is the definitive work on the subject. His most recent work is Cuba’s Baseball Defectors: The Inside Story.